Laois is situated in the heart of Ireland and contains some of Ireland’s most beautiful landscapes. Its rich history has left its mark in the remains of Celtic ring forts, medieval ruins and monastic buildings. County Laois is steeped in heritage and folklore and has many historic buildings and gardens which are testament to its rich flora. 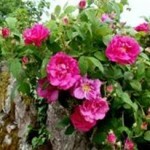 A useful guide is Gardens Heritage of County Laois by Catherine Casey, Heritage Officer at Laois County Council. 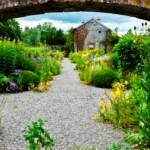 We feature an example of gardens in Laois including great gardens such as Emo Court and Heywood Gardens and smaller gardens which stimulate creativity and imagination.